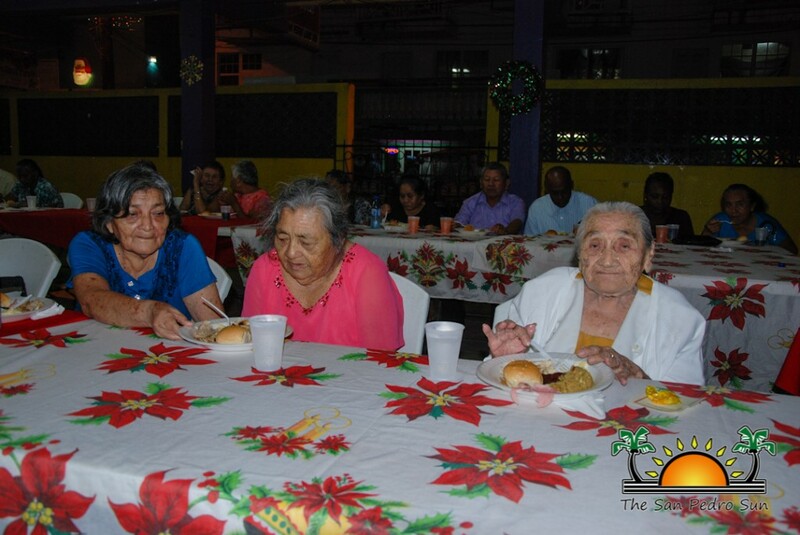 Home » Community and Society » SP Lions share the Christmas season with the island’s senior citizens! 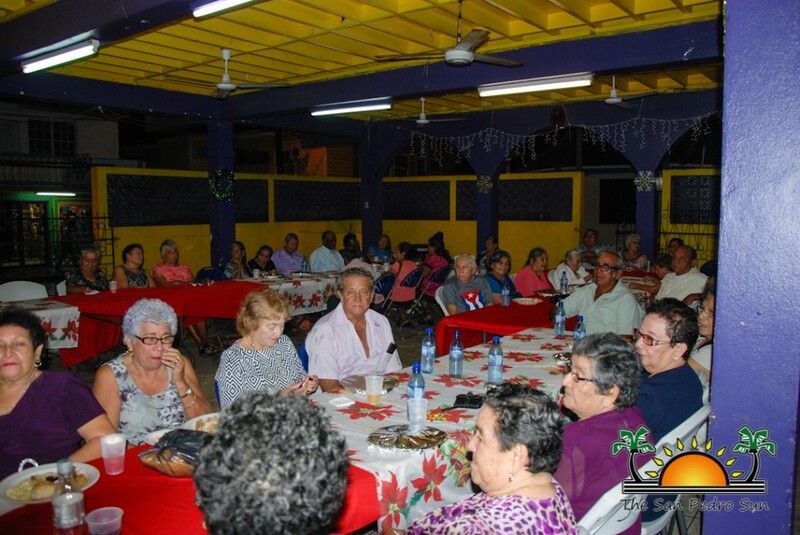 The San Pedro Lions Club hosted its annual Christmas Party for the senior citizens of the island on Saturday, December 19th. 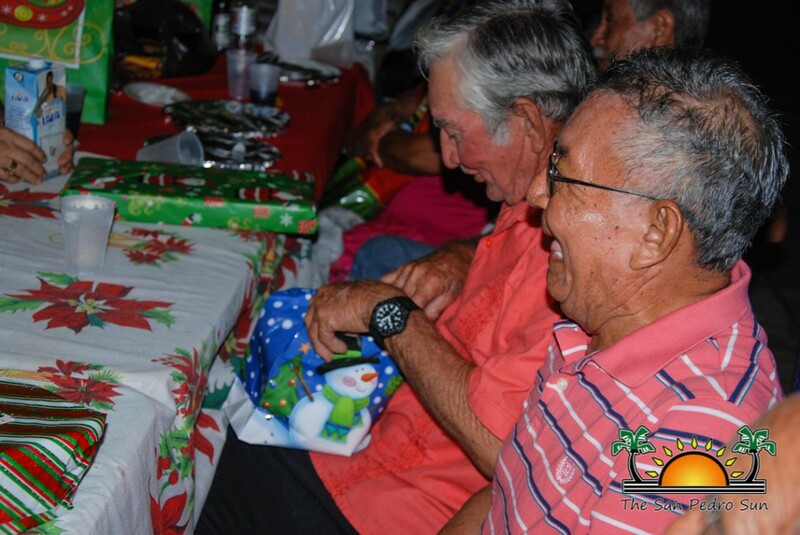 The event is part of their calendar of activities for the Christmas season, and treated over sixty senior citizens of Ambergris Caye to a night of holiday festivities. 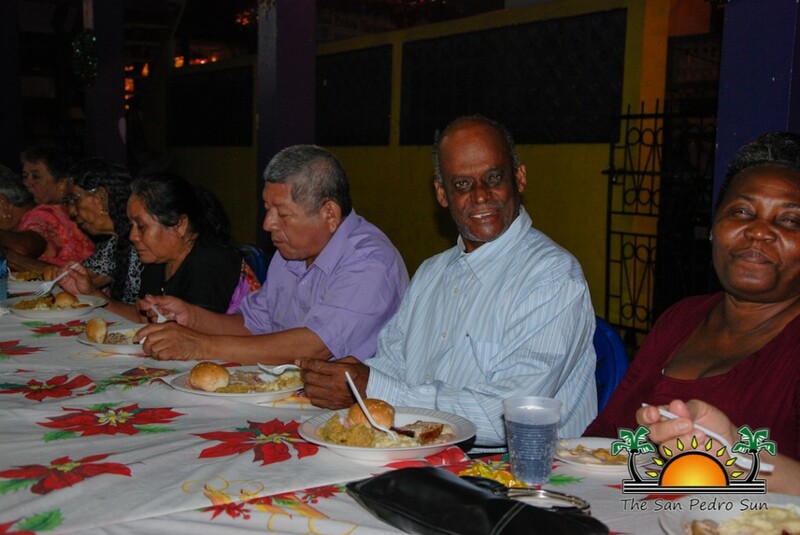 This year, the Christmas Party included an appetizer, turkey dinner with all the trimmings, desserts, a large array of cocktails, gifts, music and lots of dancing. 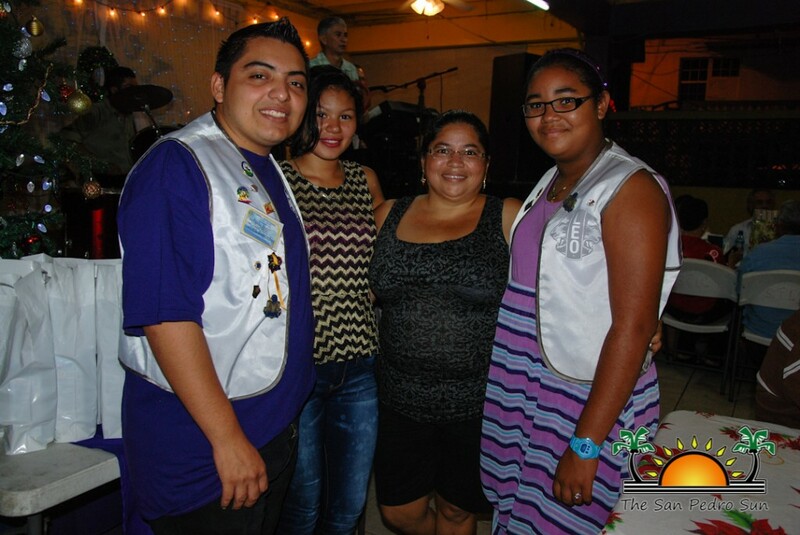 According to the President of the San Pedro Lions Club, Fatima Graniel, the party for the seniors is to give them the opportunity to come out and have some entertainment, and at the same time allow them to socialize with their old friends. 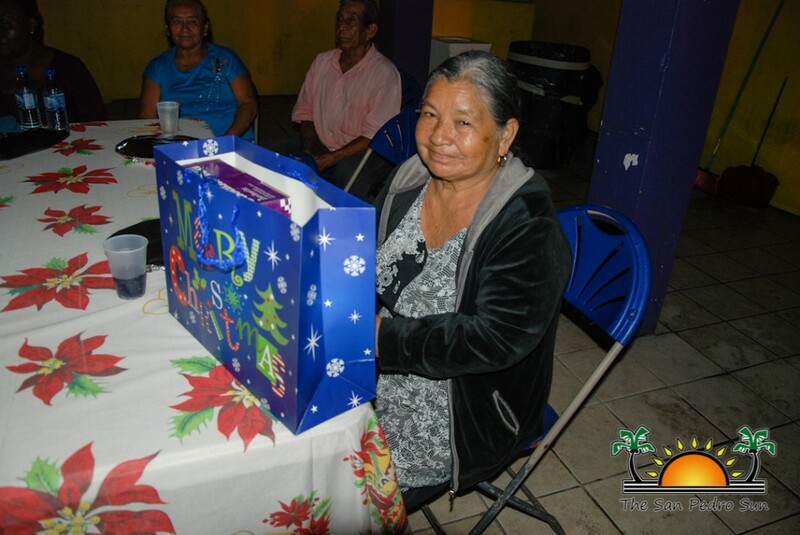 She also mentioned that this is a way how the club shows their love and appreciation for the contribution these residents have made to the island and community over the years. The Leos were in full force helping along as they tended to the happy crowd. 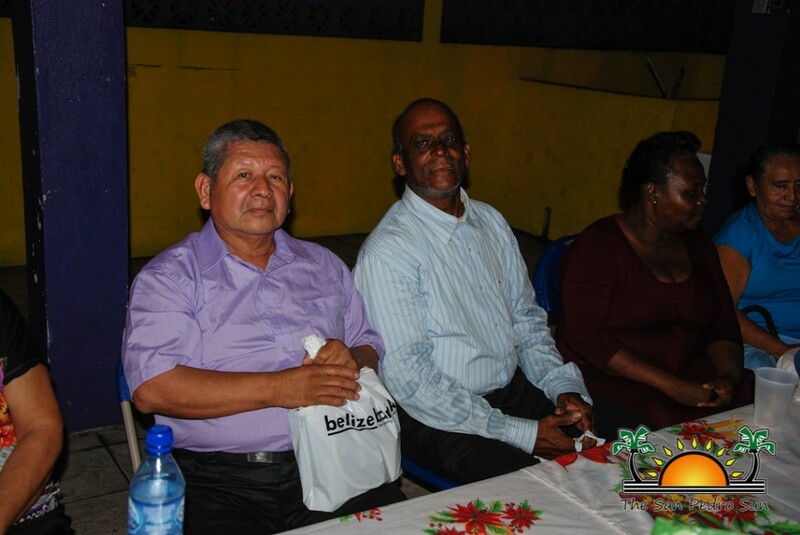 They are usually assisted by the staff of the Belize Bank, however this year they were unable to join in the event but sent their best wishes to the attendees. 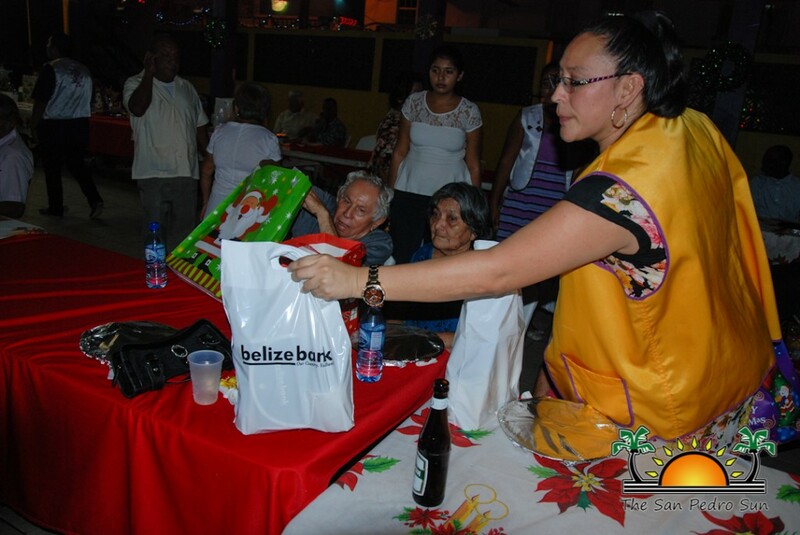 At the end of the event, each senior citizen was presented with a gift provided by the Belize Bank Staff and members of the San Pedro Lions Club. 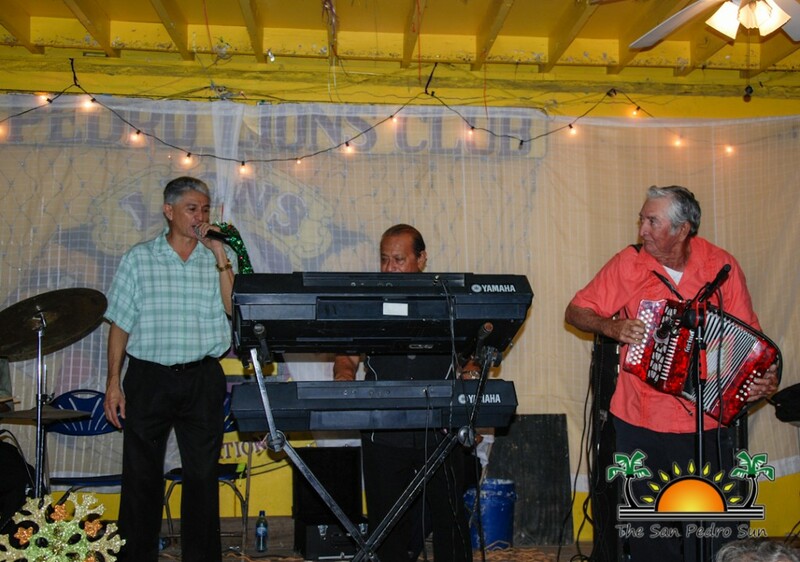 Music for the party was provided by San Pedro’s number one band, Rompe Raja! 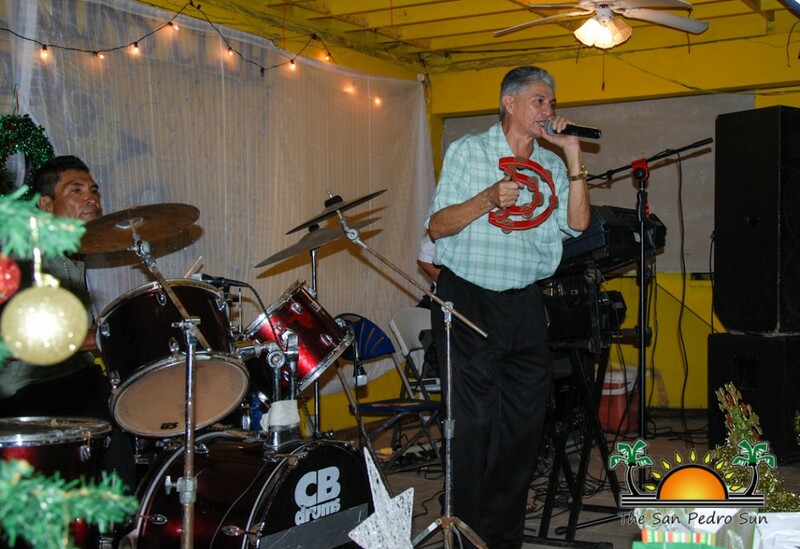 The band took the guests of honor back in time with melodic ballads of the 70’s and 80’s. 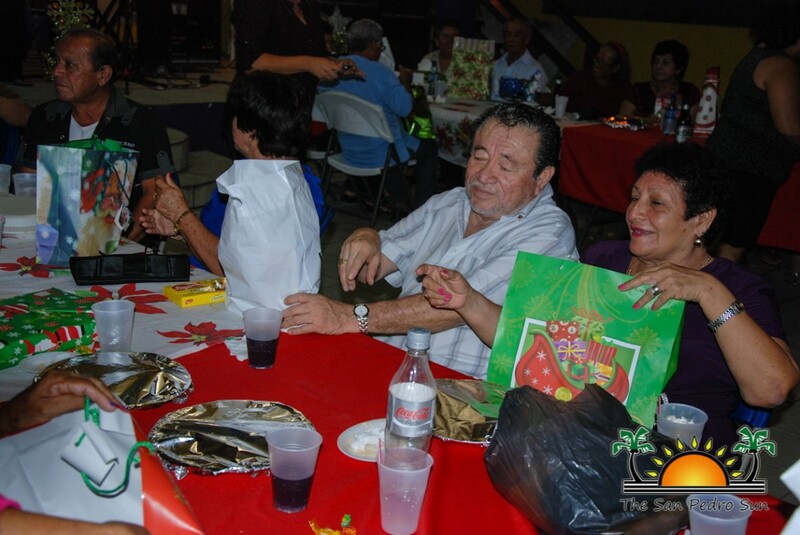 The San Pedro Lions Club expresses thanks to all those that made the Senior citizen’s party a success.